In this two parter, I (host Rebecca Galardo) and Author/Teacher Holly Lisle discuss stereotypes that we’ve all seen in fiction: on the page or screen. The Evil Villain, Selfless Hero, Badass Chick, Tough Guy, Angsty Teen, Comic Relief, Henchmen and more. You might have other examples and that’s fine! Holly offers a system of questions and answers to show you how YOU can take a stereotype – ANY stereotype – from a bland cliche to a deep, well-rounded character. We’ll show you what makes up these particular stereotypes and how to look deeper into characters that require more. Next week, we’ll wrap it up with the other half of the examples, the one rule you’ll need to remember when dealing with any character and a discussion on how you can use stereotyping and cliches to play with the reader’s/viewer’s expectations. This is the more recent video from Ryder Carroll (but pre-trendy version) and the Bullet Journaling System. This is the minimalistic BuJo system that Holly talks about and now uses. I, (host Rebecca Galardo) and Author/Teacher Holly Lisle talk about her method for dissecting good novels – that you love– and breaking them down in order to learn the genre you want to jump into. 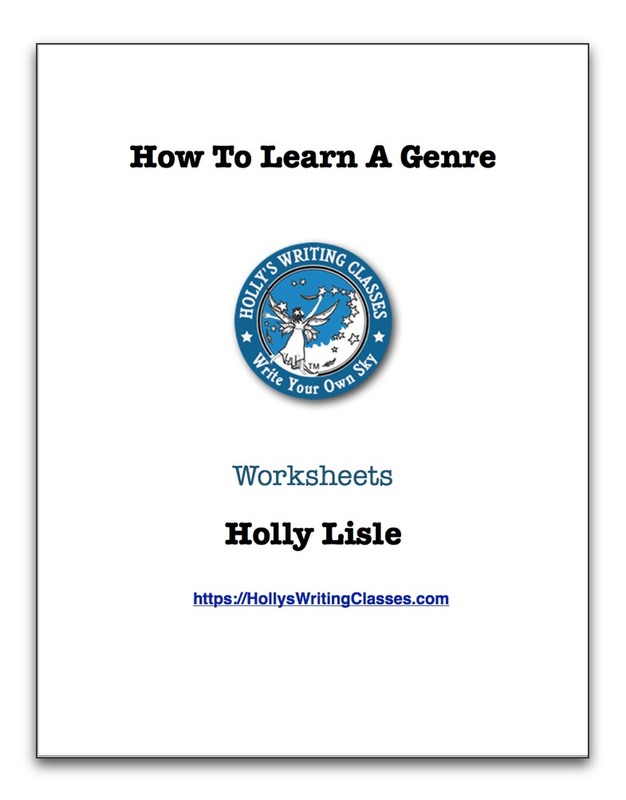 Whether you are wanting to write in a genre you have always loved or you need to learn a new one relatively quickly, Holly has done both and lays out a clear path to success in this episode. Find out: how to spot the best parts of a genre, when you can leave out bits and how to add what matters to you into your work. Listen to the episode, then hop on over to our site, print out the free worksheets (no email is asked for and there are no requirements or restrictions in order to download them) and get to work! Episode 26: Mini Episode: What if I Don’t Have Time to Write? Show Notes for Episode 26: Mini Episode: What if I Don’t Have Time to Write? This week I, (host Rebecca Galardo), discuss another much asked question with Author and Teacher Holly Lisle. If you’re looking for one of the most cited reasons that people use for not writing, it’s time. Time is a precious commodity, one of the few things in life that truly cannot be replaced. There is no getting it back and so many people want to take it up. Carving out space for our passions can be difficult when it comes to daily obligations. Holly covers how to find the time in your life, but just as important, how to find the why in your life. Does anyone have more time? Do you really want to write? Or is it part of an identity that no longer fits you?